Free trade with Japan is also in the interests of the European Union and Hungary | Sűdy & Co., Ltd.
“Rapid and comprehensive changes are going on within global politics and the global economy; old friendships are being broken and alliances of interests that previously seemed unlikely are coming into being. In such a turbulent period, it is in the interests of both the European Union and Hungary to forge alliances”, Minister of Foreign Affairs and Trade Péter Szijjártó said on Thursday in Budapest at a conference on the economic partnership agreement between the European Union and Japan. According to the Minister, the free trade agreement is also important because in addition to being the world’s third largest economy, Japan is also one of the flagships of the new, innovative global economic era, adding that the treaty will enable the establishment of a bloc that provides one quarter of the world’s GDP. Mr. Szijjártó also spoke about the fact that the European Union is facing security, political and economic challenges. “With the exit of Great Britain it will be the first time in the history of the European Union that the number of member states is decreasing, and the community’s economic performance will be reduced by 14 percent”, he noted. “The European Union has been unable to conclude a free trade agreement that has been fully implemented since 2011”, the Minister recalled, warning that the continent will fall behind its competitors unless it can speed-up decision-making. “From a Hungarian perspective, the bilateral agreement will help to further increase our trade turnover with Japan, which already exceeded 2 billion euros last year”, Mr. Szijjártó said. 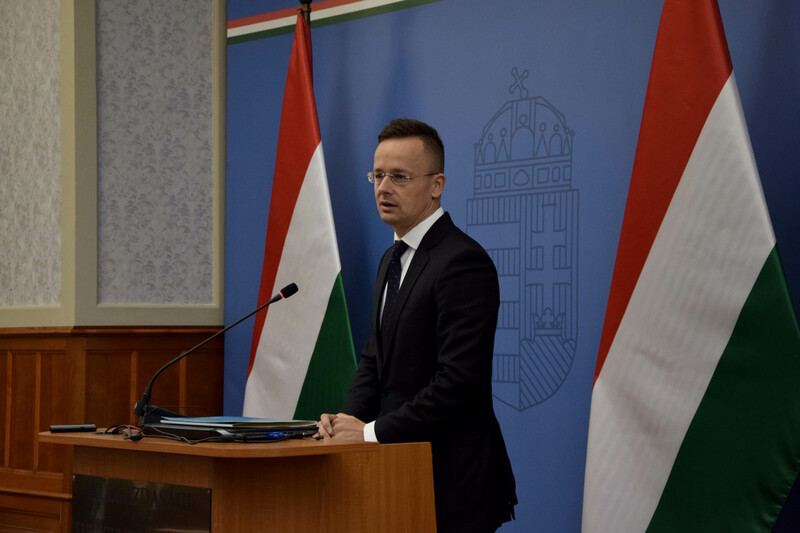 “As a small and open economy with a great deal of creativity and which is capable of renewal, it is in Hungary’s interests for trade to be free and fair, and available to everyone with equal conditions”, he pointed out. The Minister said he hoped the trade war that has broken out between the United Sates, the European Union and China will be resolved peacefully, through agreements, as soon as possible. “In the Hungarian economy, the export to GDP ratio is 90 percent. 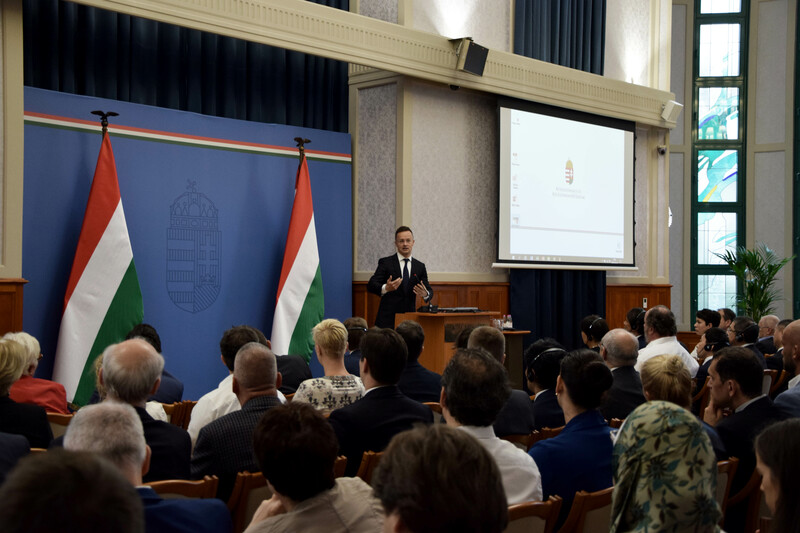 70 percent of exports are destined for the European Union, following which the United States and China are the 2nd and 3rd most important target countries for Hungarian exports”, he explained. Japanese Ambassador Sato Kuni said that without the support of European citizens and enterprises the free trade agreement between her country and the European Union could not have come about. According to the Ambassador, the treaty facilitates the economic growth of both the EU and Japan, in addition to which it will also have a positive effect on the development of trade relations and on social prosperity. 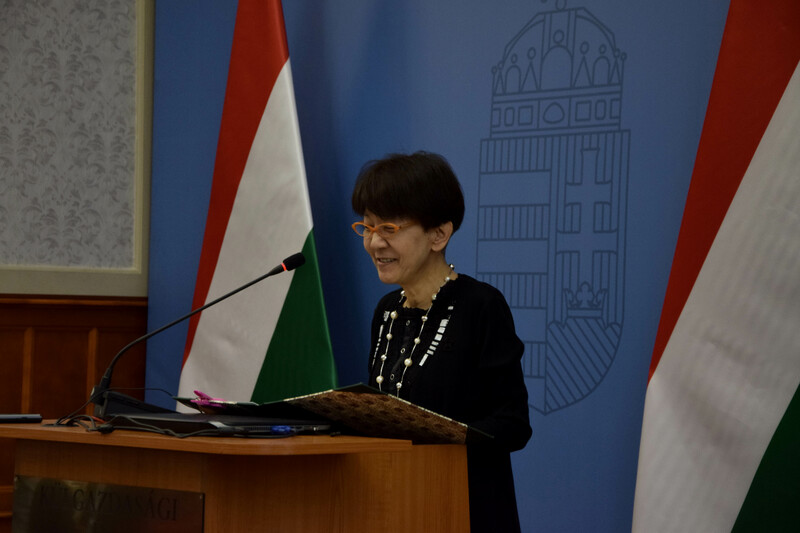 Next year marks the 150th anniversary of the establishment of diplomatic relations between Hungary and Japan, she noted, adding that he expects bilateral relations to continue to improve in future.